The Treblemakers, Northwestern’s only East-Asian interest a cappella group, will travel to Seoul, Beijing and Hong Kong for the first time since its founding in 2004. The group has been fundraising for the past few weeks to send the majority of its members on a 10-day trip during the 2016 Spring Break. Sam Garcia has dreamed of one day leading Northwestern’s only East Asian interest a capella group, the Treblemakers, on a tour of Asia since he joined the group as a freshman. Four years later, he is making that dream a reality. For the first time since its founding in 2004, Treblemakers will travel abroad to Seoul, Beijing and Hong Kong. Garcia said the group attempted to plan a similar trip to Asia four years ago, but the plans fell through. The group, which consists of 21 members from all over the world, including China, Korea, Canada, Singapore and the United States, has been fundraising for the past few weeks to send the majority of its members on a 10-day trip during the 2016 Spring Break. Catalyzer is an online fundraising platform similar to Kickstarter, and funds donated through the site count toward the University’s $3.75 billion “We Will” fundraising campaign. In addition to donations from alumni, family members and friends on Catalyzer, the group has fundraised through bake sales, a Blaze Pizza profit-share and the sale of Treblemaker albums, Chen said. Fundraising will continue to further subsidize expenses, which were budgeted at about $2,000 per person, excluding personal expenses, Garcia said. “Every member has a different financial need depending on their socioeconomic class and family situation, so we try to be very personal about it and make sure we can provide every single member of our group that is going on this tour with money that they need,” he said. Treblemakers hopes to serve as a cultural exchange while abroad by introducing a cappella music to other parts of the world, and introducing Asian societies to American culture. “As an East Asian a cappella group with a lot of members who grew up in the U.S. and who grew up in China, Korea, in that part of the world, we have a pretty unique ability to bridge the gap between these multiple cultures,” Garcia said. 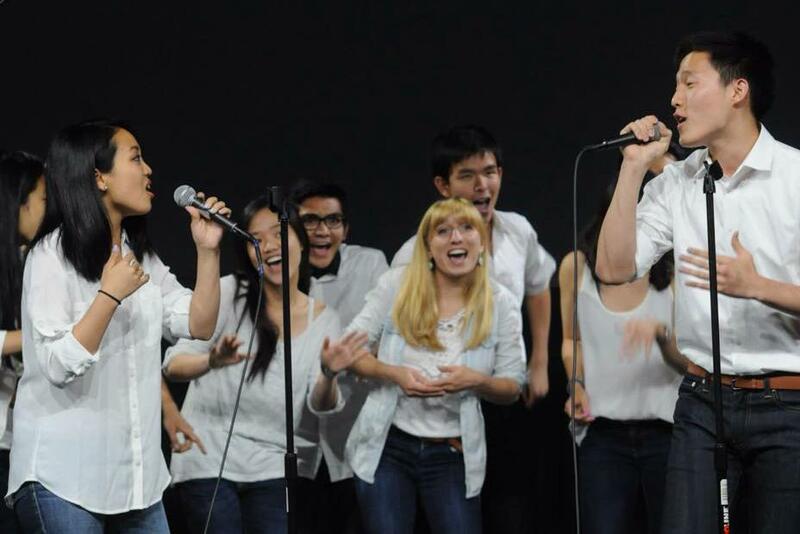 While traveling, the group will perform at multiple high schools and colleges where they will introduce students to a cappella music — an uncommon type of music in Asia — and give workshops on the college experience and application process in the United States, said Bienen and Communication freshman Amanda Xiang. Xiang, a Hong Kong native, said she’s looking forward to returning home with a whole new purpose. Although Garcia said the trip has taken a lot of planning, he said the entire executive board has been very committed to working together to support each other in planning the tour.